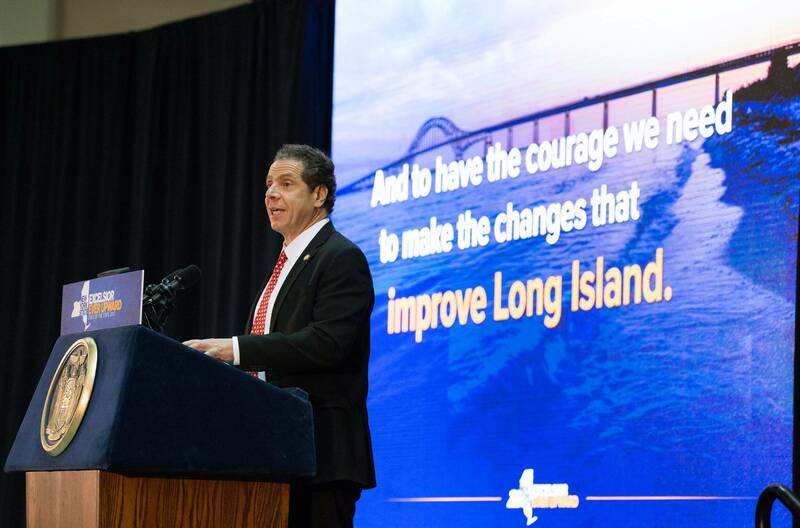 New York Governor Andrew Cuomo this week proposed to develop up to 2,400 megawatts (MW) of offshore wind power by 2030 capable of powering 1.25 million homes as the state seeks to lead the nation in renewable energy production. The offshore wind proposal came after the Democratic governor said on Monday that Entergy Corp's 2,069-MW Indian Point nuclear power plant in Westchester County would shut by 2021 and the state planned to replace its power output with renewable and low carbon energy sources. The offshore wind proposals include a 90-MW project to be built about 30 miles southeast of Montauk that the Democratic governor, in a release, said he wanted the Long Island Power Authority to approve. Cuomo said the state would complete its plans for offshore wind developments by the end of 2017. He said any projects, including the Montauk wind farm, would be developed out of view from the coast. Cuomo, seen as a potential 2020 presidential candidate, is pursuing wind power after President-elect Donald Trump on the campaign trail dismissed solar and wind energy as too expensive and pledged to focus on oil and coal. Offshore wind is key to meeting Cuomo's Clean Energy Standard goal to meet 50 percent of electricity needs with renewable sources by 2030 in New York, the second-most-populous U.S. state after California. The governor directed the Department of Environmental Conservation and the New York State Energy Research and Development Authority (NYSERDA) to study how the state could become 100 percent renewable in the future. Unlike in many European countries, there is only one offshore wind farm operating in the United States at present, Deepwater Wind's 30-MW project off Block Island, Rhode Island, which entered service December 2016. On Long Island, Cuomo said LIPA was expected to vote on the 90-MW wind project at its January meeting. He said the area off the coast of Montauk could ultimately host up to 1,000 MW of offshore wind. A second project would provide about 800 MW of offshore wind power in an area 17 miles south of the Rockaway Peninsula in Queens, the governor said. A unit of Norwegian oil company Statoil ASA spent $42.5 million to win a federal auction to lease the area for wind development in December. The governor said he called on NYSERDA to work with Statoil on the project.